Changes in Preface and Introduction in 2000 ed. ZMBM at 40 - with notes and links and a few lines that were cut. FOR A DISCIPLE of Suzuki-roshi, this book will be Suzuki-roshi’s mind—not his ordinary mind or personal mind, but his Zen mind, the mind of his teacher Gyokujun So-on-daiosho, the mind of Dogen-zenji, the mind of the entire succession—broken or unbroken, historical and mythical—of teachers, patriarchs, monks, and laymen from Buddha’s time until today, and it will be the mind of Buddha himself, the mind of Zen practice. But, for most readers, the book will be an example of how a Zen master talks and teaches. It will be a book of instruction about how to practice Zen, about Zen life, and about the attitudes and understanding that make Zen practice possible. For any reader, the book will be an encouragement to realize his own nature, his own Zen mind. The practice of Zen mind is beginner’s mind. The innocence of the first inquiry—what am I?—is needed throughout Zen practice. The mind of the beginner is empty, free of the habits of the expert, ready to accept, to doubt, and open to all the possibilities. It is the kind of mind which can see things as they are, which step by step and in a flash can realize the original nature of everything. This practice of Zen mind is found throughout the book. Directly or by inference, every section of the book concerns the question of how to maintain beginner’s mind through your meditation and in your life. This is an ancient way of teaching, using the simplest language and the situations of everyday life. This means the student should teach himself. Beginner’s mind was a favorite expression of Dogen-zenji’s. The calligraphy of the frontispiece, also by Suzuki-roshi, reads shoshin, or beginner’s mind. The Zen way of calligraphy is to write in the most straightforward, simple way as if you were a beginner, not trying to make something skillful or beautiful, but simply writing with full attention as if you were discovering what you were writing for the first time; then your full nature will be in your writing. This is the way of practice moment after moment. Suzuki, Shunryu (2011-03-15). Zen Mind, Beginner's Mind . Shambhala Publications. Kindle Edition. This book was conceived and initiated by Marian Derby, a close disciple of Suzuki-roshi and organizer of the Los Altos Zen group. Suzuki-roshi joined the zazen meditations of this group once or twice a week, and after each meditation period he would talk to them, encouraging their practice and helping them with their problems. Marian taped his talks and soon saw that as the group developed the talks acquired a continuity and development which would work well as a book and could be a much-needed record of Suzuki-roshi’s remarkable spirit and teaching. From her transcriptions of talks made over a period of several years, she put together the first draft of the present book. Then Trudy Dixon, another close disciple of Suzuki-roshi who had much experience editing Zen Center’s publication, Wind Bell, edited and organized the manuscript for publication. It is no easy task to edit this kind of book, and explaining why will help the reader understand the book better. 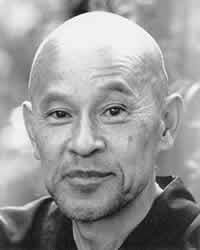 Suzuki-roshi takes the most difficult but persuasive way to talk about Buddhism—in terms of the ordinary circumstances of people’s lives—to try to convey the whole of the teaching in statements as simple as “Have a cup of tea.” The editor must be aware of the implications behind such statements in order not to edit out for the sake of clarity or grammar the real meaning of the lectures. Also, without knowing Suzuki-roshi well and having experience working with him, it is easy to edit out for the same reasons the background understanding that is his personality or energy or will. And it is also easy to edit out the deeper mind of the reader which needs the repetition, the seemingly obscure logic, and the poetry in order to know itself. Passages which seem obscure or obvious are often illuminating when they are read very carefully, wondering why this man would say such a thing. The editing is further complicated by the fact that English is thoroughly dualistic in its basic assumptions and has not had the opportunity over centuries to develop a way of expressing nondualistic Buddhist ideas, as has Japanese. Suzuki-roshi uses these different cultural vocabularies freely, expressing himself in both Japanese and Western ways of thinking. In his lectures, they merge poetically and philosophically. But in transcriptions, the pauses, rhythm, and emphasis that give his words their deeper meaning and hold his thoughts together are apt to be lost. So Trudy worked many months by herself and with Suzuki-roshi to retain his original words and flavor, and yet produce a manuscript that is in understandable English. the titles, these being taken usually from the body of the lectures. The choices are of course somewhat arbitrary, but she did this to set up a kind of tension between the specific sections, titles, and epigraphs, and the talks themselves. The relationship between the talks and these added elements will help the reader probe the lectures. The only talk not given originally to the Los Altos group is the Epilogue, which is a condensation of two talks given when Zen Center moved into its new San Francisco headquarters. Shortly after finishing work on this book, Trudy died of cancer at the age of thirty. She is survived by her two children, Annie and Will, and her husband, Mike, a painter. He contributed the drawing of the fly in the part two chapter titled “God Giving.” A Zen student for many years, when asked to do something for this book, he said: “I can’t do a Zen drawing. I can’t do a drawing for anything other than the drawing. I certainly can’t see doing drawings of zafu [meditation pillows] or lotuses or ersatz something. I can see this idea, though.” A realistic fly often occurs in Mike’s paintings. Suzuki-roshi is very fond of the frog, which sits so still it might be asleep, but is alert enough to notice every insect that comes by. Maybe the fly is waiting for the frog. Trudy and I worked together throughout the development of Zen Mind, Beginner’s Mind, and she asked me to complete the editing and see the book through to publication. After considering several publishers, I found that John Weatherhill, Inc., through Meredith Weatherby and Audie Bock, were able to polish, design, and publish this book in exactly the way it should be published. The manuscript was read before publication by Professor Kogen Mizuno, head of the Buddhist Studies Department, Komazawa University, and an outstanding scholar of Indian Buddhism. He generously helped with the transliteration of the Sanskrit and Japanese Buddhist terms. Except for now and again in lectures, Suzuki-roshi seldom talks about his past, but this much I have pieced together. He was the disciple of Gyokujun So-on-roshi. He had other teachers; the most influential for him was Kishizawa Ian-roshi, a leading authority and lecturer on Dogen. Kishizawa-roshi emphasized a deep and careful understanding of Dogen, the koans—particularly the Blue Cliff Records—and the sutras. Suzuki Roshi was twelve when he began his apprenticeship under his father’s disciple, Gyokujun. After years living with his teacher, he continued his practice and study at a Buddhist university, Komazawa, and at the main Soto training monasteries, Eiheiji and Sojiji. He also studied with a Rinzai teacher for awhile. Gyokujun-roshi died when Suzuki was thirty. As a result, he had the responsibility, at a rather young age, of both his father’s temple (who had died shortly before Gyokujun) and his teacher’s temple. The latter, Rinsoin, was a small monastery and head temple for about two hundred other temples. One of his main tasks was the rebuilding of Rinsoin in the exacting tradition his teacher and he wanted. Exceptional for Japan during the nineteen thirties and forties, he led discussion groups at Rinsoin that questioned the militaristic assumptions and actions of the times. Before the war, and from the time he was young, he had been interested in coming to America; however, at the insistence of his teacher, he had given up the idea. But in 1956 and twice again in ’58, a friend, who was one of the leaders of the Soto School, persisted in asking him to go to San Francisco to lead the Japanese Soto congregation there. On the third request, Suzuki-roshi accepted. In 1959, when he was fifty-five, he came to America. After postponing his return several times, he decided to stay in America. He stayed because he found that Americans have a beginner’s mind, that they have few preconceptions about Zen, are quite open to it, and confidently believe that it can help their lives. He found they question Zen in a way that gives Zen life. Shortly after his arrival several people stopped by and asked if they could study Zen with him. He said he did zazen early every morning and they could join him if they liked. Since then a rather large Zen group has grown up around him—now in six locations in California. At present he spends most of his time at Zen Center, 300 Page Street, San Francisco, where about sixty students live and many more do zazen regularly, and at Zen Mountain Center at Tassajara Springs above Carmel Valley. This latter is the first Zen monastery in America, and there another sixty or so students live and practice for three-month or longer periods.